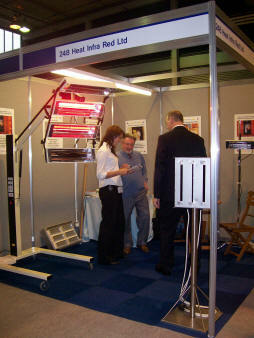 Leisure Heating and Heat Infra-red Ltd exhibit at many shows throughout Britain and Ireland. 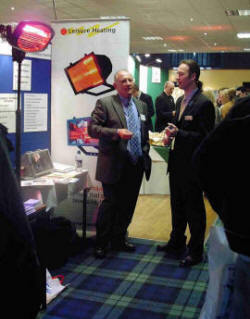 For more information on this years exhibitions please call our office on 0115 937 2727. 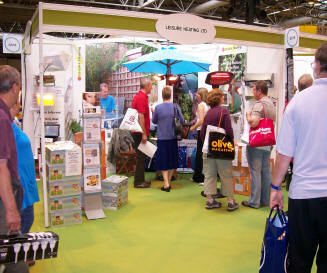 Gardeners World Live is our major retail show of the year and is held in June at the NEC in Birmingham. It runs for an epic Five days and we sell direct to the public. If you own a licensed premises you can't ignore the impact of the smoking ban and the potential difference it will make to your existing custom. 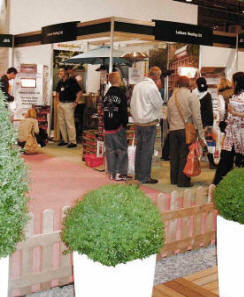 Why not act now and create an outdoor heated area for those customers who still wish to smoke. 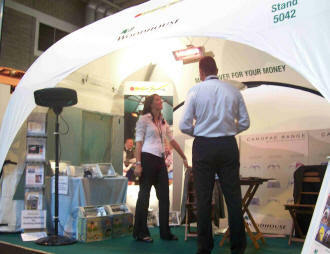 We already supply major pub chains with appropriate heating for outdoor smoking areas. 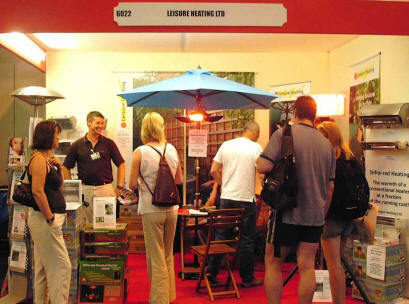 Autumn Fair is a trade show for anyone who owns a shop and is looking at reselling products. Items can be ordered ready for the spring and summer seasons in the following year. Did you know that infra-red heating can be used to force dry and cure water-based paints, adhesives and inks? Many finishing companies are finding that as they move towards compliant and water-based products they have drying and curing problems associated with their coatings. By retrofitting infra-red panels to their existing heating equipment, these problems can be easily overcome without the need to significantly change the manufacturing process. Typical cure times can be less than a minute which can greatly increase throughputs on a production line. If you would like further advice please call or visit water based coating or more information. 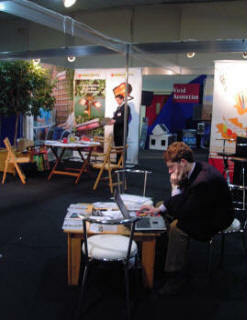 Caterex Exhibition is held at Skegness on the Lincolnshire coast each year and is aimed at the catering business.